Endorsed by national gun control groups, the Democrat aiming to move into New Mexico’s governor’s mansion has a package of planned new restrictions on firearms. 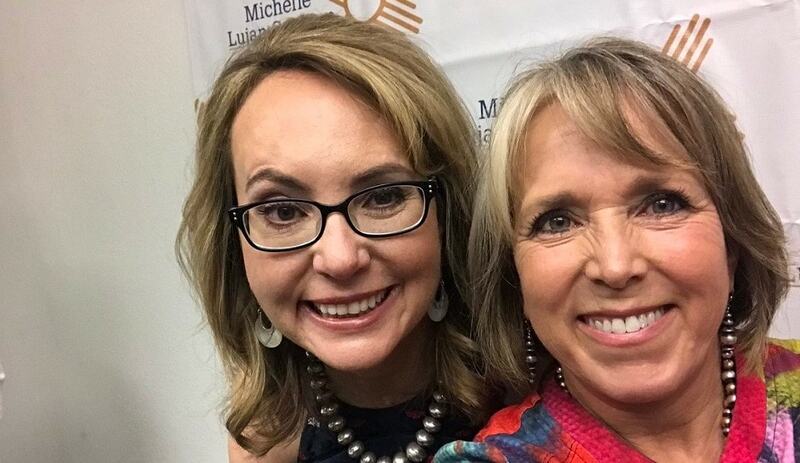 U.S. Rep. Michelle Lujan Grisham, who won the Democratic primary to face Republican U.S. Rep. Steve Pearce in the November general election for the job of New Mexico’s governor, has a strong platform when it comes to gun control. If elected, Lujan Grisham plans to push for more regulation and bans on firearms in the 2019 legislative session. “New Mexico does not have the kind of gun violence reforms and safety initiatives that we need,” she said at a campaign rally last week, reports The Albuquerque Journal. On the agenda for Lujan Grisham is a state-wide ban on semiautomatic “assault weapons” and “high-capacity magazines,” expanded background checks, implementation of so-called “red flag” gun seizure orders, and penalties for gun owners who do not report lost or stolen firearms. She would also direct the New Mexico Department of Health to conduct an in-depth study of injuries and deaths related to guns as a health care crisis. She has the strong support of groups such as Moms Demand Action and Giffords, who have publicly endorsed Lujan Grisham. Of her $4.4 million in campaign donations listed by the New Mexico Secretary of State’s office, about $11,000 have been chipped in by Everytown. Elected to Congress from the state’s 1st District in 2013, Lujan Grisham has been a reliable vote on Democrat-sponsored legislation, especially when it comes to gun policy. She has repeatedly co-sponsored proposals to restart the federal assault weapon ban and expand background checks. Earlier this year she voted against H.R. 38, the Concealed Carry Reciprocity Act of 2017. Last week, she signed on to a House bill to ban 3D printed guns. For President Obama’s State of the Union address in 2016 she brought the head of New Mexico’s Moms Demand Action chapter, fresh from a roundtable on gun violence sponsored by the lawmaker. Opposing Lujan Grisham in November to replace term-limited Republican Gov. Susana Martinez is Steve Pearce, who has represented the state’s 2nd District in Washington since 2011. With a comparatively smaller $3.1 million war chest for his gubernatorial campaign, the only pro-gun money Pearce has to show for it is a $955 donation from Safari Club International last August, although organizations such as the National Rifle Association and National Shooting Sports Foundation have in the past contributed to his Congressional campaigns. The NRA has not issued grades in New Mexico races as of Tuesday. A former C-130 pilot Vietnam, Pearce has been strong on veterans and Second Amendment issues and is a current cosponsor of both the Hearing Protection Act and H.R. 38. With a platform strong on public safety and criminal enforcement, he characterizes Lujan Grisham’s proposals on guns as extreme.